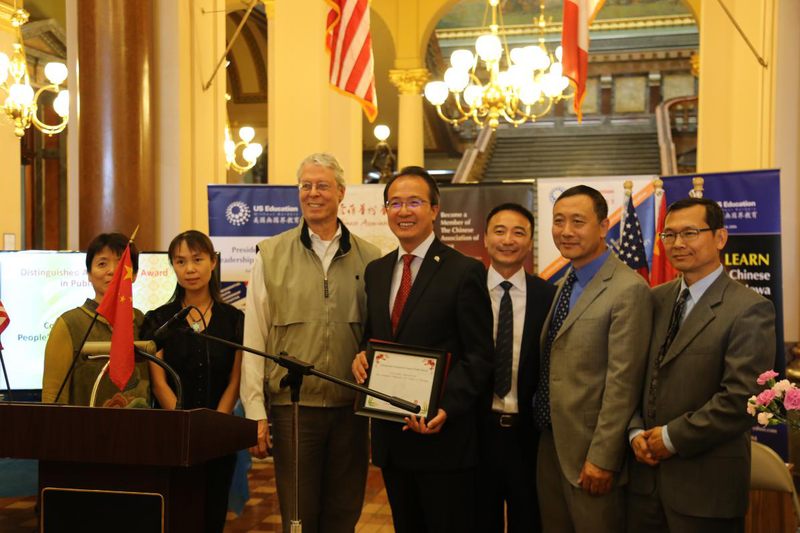 On September 30, Consul General Hong Lei participated in the celebratory event of the 30th anniversary of Chinese Association of Iowa. 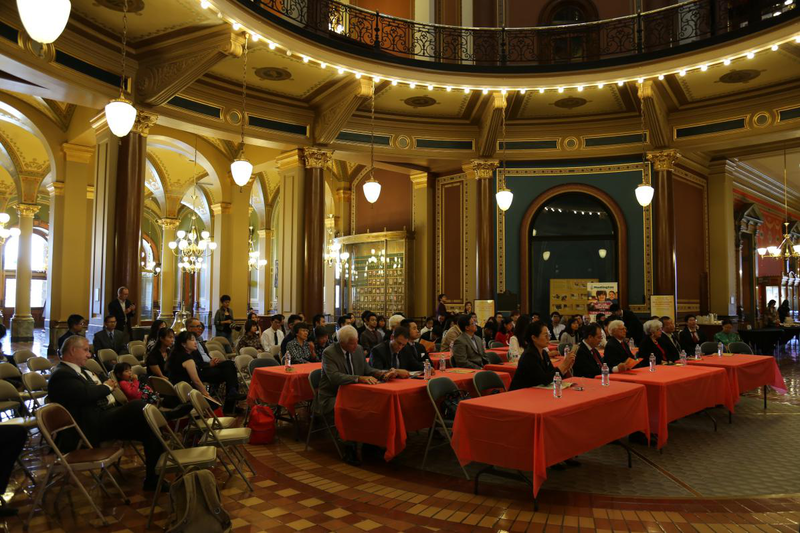 Mayor of Des Moines Frank Cownie, former senator Daryl Beall, former Senator Patrick Deluhery, Executive Assistant to former Governor Terry Branstad Margaret Hough, as well as over 200 participants from political, business, agriculture, technology and education sectors and overseas Chinese representatives attended the event. 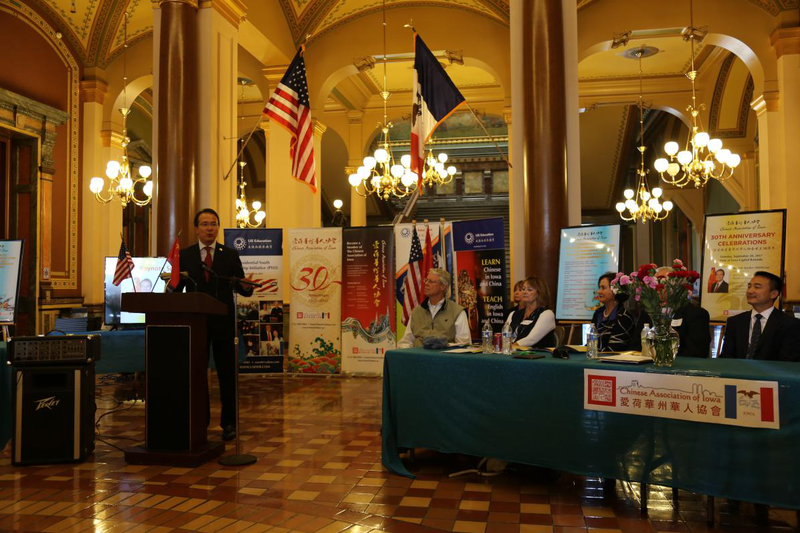 In the speech, Consul General Hong Lei congratulated on the Chinese Association of Iowa for having its 30th anniversary at a time when China is celebrating its 68th birthday. In the 30 years since its founding, the association has been working hard to safeguarding overseas Chinese people's rights and benefits. The association holds many community activities, in an aim to promote Chinese traditional culture and enhance the understanding and exchanges between overseas Chinese communities and the mainstream society. Bearing in mind the significance of China-US relations, the association has promoted bilateral exchanges and cooperation in the fields of business and trade, culture, education, etc.. He hopes the Association could continue to work on elevating overseas Chinese people's social status and influence, promoting friendly exchanges and cooperation between China and the US, and contributing more to enhance friendship and develop China-US relations. Hong Lei said that since the new American government took office, President Xi Jinping and President Trump have had two meetings in Mar-a-Lago in Florida and at the G20 Hamburg Summit, which point out direction for the development of China-US relations and set a constructive tone. Iowa is always friendly towards China, and is an important cooperation partner to China. President Xi Jinping visited Iowa in 1985 and 2012. Former Governor Terry Branstad, an old friend to the Chinese people, assumed the role of American Ambassador to China in July this year. In the summer, Governor Kim Reynolds visited China soon after she assumed office, which strongly promoted exchanges and cooperation between our two sides. 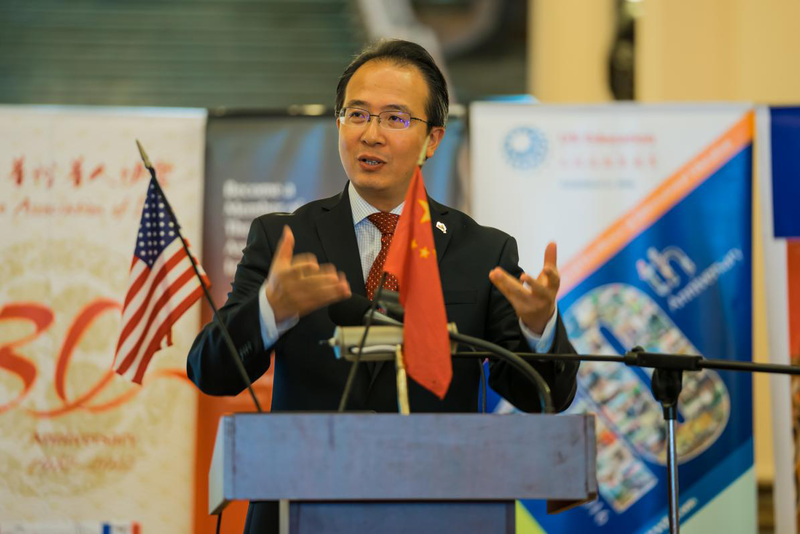 In recent years, China and Iowa have made new cooperation progress in investment, culture and people-to-people exchanges, education, etc.. China has become Iowa's third largest trade partner. Chinese companies have invested over 1.1 billion US dollars to Iowa on a cumulative basis and have created over 5000 local jobs. In July this year, more than 20 Chinese and American companies signed agreements in Des Moines, agreeing that Chinese companies will import over 12.53 million tons of soybeans and 371 tons of pork and beef from Iowa with a total import value of 5.012 billion US dollars. This is an important move to implement the results from meetings between our two leaders. Chinese people hold friendly affection towards Iowa, and the people-to-people exchanges between the two sides have been quite dynamic. Over 5000 Chinese students are studying in Iowa's universities, which makes China the largest source of international students for Iowa. The relations between China and Iowa are important assets for our bilateral relationship and should be held dear by all. We would like to work with the people of Iowa from all walks of life to promote the friendly bilateral relationship forward. 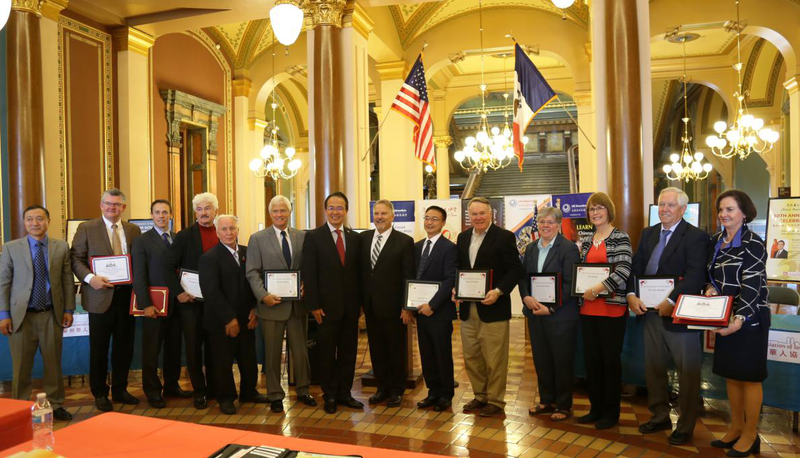 Consul General Hong Lei also presented certificates to recipients who contribute to the relationship between China and Iowa accredited by the Chinese Association of Iowa.